Your siding is one of the major factors in your home’s appeal. Poorly maintained or damaged siding can make your home look older and shabbier than it really is. Fortunately, we can replace old siding with our high-quality siding products. Our siding come in a wide range of colors and designs, allowing them to look great on any kind of home. 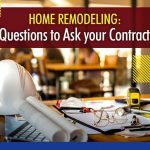 In addition, according to the Remodeling 2017 Cost vs. Value Report (www.costvsvalue.com), siding replacement can recoup up to 73.4% of the project cost. 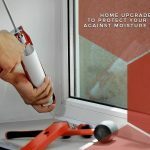 A new window installation can change the look of your home and improve its energy efficiency. Your windows are one of the few building elements that can affect the appearance of your interior and exterior. That’s why we offer beautiful windows in a wide variety of styles and designs. We can help you choose which of our window types will best fit your priorities. According to the Remodeling 2017 Cost vs. Value Report, a window replacement can recoup up to 64.2% of the project cost. 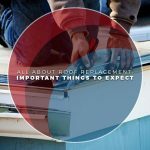 A roof replacement is an excellent idea if you want to add value to your home, improve its appearance, and protect your interior from bad weather. We use only the best and safest roofing materials on the market today: GAF’s Timberline® High-Definition® Shingles. 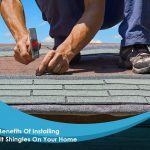 These shingles have enhanced color blends and unique profiles that can boost your home’s curb appeal. Additionally, the Remodeling 2017 Cost vs. Value Report reveals that you can recoup up to 56.5% of the project cost. 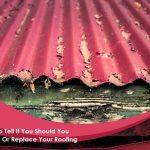 In addition to these services, we can also help you with your gutters and remodel your kitchen and bathroom. Integrity Home Services is the trusted and respected company homeowners turn to when they want to transform their home inside and out. We have over 25 years of experience and we are fully certified, insured, and licensed. We serve many areas including Milford, CT. Call us at (203) 382-1283 to learn more about home improvement projects that add value to your home.